Choosing the best 5 gallon tank for bettas may seem like a daunting task, but it doesn’t have to be. There are so many great tanks, however, there does seem to be one that stands above the rest! In this article, you’re going to find out what the best 5 gallon betta tank is as well as 5 more great tanks you should consider. All in all, the Fluval Spec V Aquarium kit is the best tank you can buy for a betta. You may notice that some tanks are cheaper, or come with more stuff. But the Fluval Spec V is pretty much perfect for bettas. Not only will you be getting the tank, filter, LED lighting system and more. But the shape of the tank is perfect as well. Instead, of having a height, it has a lot of horizontal length. Not only does this mean you’ll be able to fit it where other tanks can’t fit, but it’s great for your betta too! Because betta’s breathe from the surface of the tank having one without a lot of depth is going to help them do that. And the extra length is going to allow them to swim for longer without having to turn around! The tank has a separate compartment where you can hide the heater and filter of your tank. It’s also designed to allow the equipment it comes with to be upgraded or replaced. Whereas with a lot of aquarium kits you’re kind of stuck with what you’ve got. With a lot of tanks, the equipment that comes with it is normally cheap. However, the Fluval Spec V is going to come with a powerful filter, as well as great lights with a nighttime and daytime mode. The filter can often be too powerful for some bettas, because of this you may also need to buy the Fluval edge pre-filter sponge, to diffuse the flow of water. It’s only a couple of dollars which is well worth the investment. Because it’s an open top, water is going to evaporate out of it quite quickly. However, this also has the added benefit of making water changes a lot easier. The Marineland Portrait Aquarium is another great aquarium and it’s very close to being the best 5 gallon tank for bettas. In fact, if you’re going by Amazon reviews, this is the highest rated tank on the list. With an overall rating of 4 stars from over 900 people! So why doesn’t it take the number one spot? Well, the main reason is the shape of the tank. Instead of being long it’s high, which means your betta is going to have a harder time swimming to the surface. And because of this, he will probably avoid using the rest of the tank, so it will be wasted. This would be a benefit if you were housing other tank mates with your betta, however in a 5-gallon tank that’s generally not recommended. While the aquarium isn’t the ideal shape for betta fish, the shape of it allows you to decorate it in a unique way. Vertical decorations that wouldn’t fit in a normal 5 gallon will be able to fit in this aquarium easily! It has a compartment in the back for you to hide your filter and heater. Which will make your tank look a lot cleaner. On the subject of filters, the filter that comes with this kit is fantastic. It’s almost silent, and as long as you slow the rate of flow coming from it, it won’t be a problem for your betta. Cleaning your tank is easy with the LED lights because you can just flip them out of the way instead of having to take them off (this isn’t the case with a lot of tanks). And as an added bonus they also come in a day time and night time mode. And even though the separate compartment for your tank is fantastic, it can be annoying to clean at times. If you’re still looking for something a little more unique, the Penn Plax Curved Aquarium is a great choice. Unlike most aquariums, the corners are curved, causing the tank to look clearer. It’s a unique look which makes the tank a lot more interesting and in my opinion a cleaner aesthetic. Along with the tank itself, the aquarium kit also comes with an LED light and internal filter. But this isn’t the only benefit. Here are some of the others. And of course, the unique look and shape of the tank is also a great benefit. If you’re looking for a standard aquarium shape with a little added extra then this is definitely the tank for you. It also comes with a mat to place it on so you won’t damage any of the furniture in your house. The filter it comes with will also get the job done and is good for the price of the aquarium kit. Unfortunately, the light that comes with the tank isn’t the greatest. It doesn’t have an on or off switch and you’ll have to move it if you want to open the lid of your tank. If you’re going to buy this tank then you should invest in a better light. Similarly, the filter is fine, however, at some point, it may be worth investing in something a bit more powerful. While it does provide mechanical and biological filtration, you may consider using another filter which also provides chemical filtration as well. However, the price is well worth the tank alone. Filters, lights, and heaters aren’t expensive for 5-gallon tanks so you should consider buying them separately. While it’s slightly bigger than a 5 gallon, it’s another aquarium that has to be added to the list. Fluval, in general, makes fantastic aquarium kits so it’s no wonder that the Fluval Edge 6 Gallon is also great. One of the biggest benefits of this tank is the filter that comes with it. It’s extremely powerful and also nice and quiet. You’re not going to have to worry about the cleanliness of the water in the tank when this filter is on. As well as being a powerful filter, there’s also plenty of room left over to add more media cartridges. A water polisher is always a great choice. And the lights that come with this tank include a nighttime and daytime mode which is going to be great for your bettas circadian rhythm. And of course, you can’t forget the way this tank looks. That’s also one of the biggest benefits of buying it. The light system isn’t going to be strong enough to grow a lot of plants. However, you can upgrade it by purchasing the 42 LED light system which comes with the larger version of this tank. This tank is higher in price. However, it’s well worth the cost, once you buy it you won’t need another tank for years. The opening on the tank is quite small meaning it’s a bit more difficult to clean and maintain your tank. If you don’t have a lot of money then this is the aquarium for you. It’s the cheapest 5-gallon aquarium kit you’re going to be able to get that’s still worth buying. However, I’d only recommend it if you don’t have much money for anything better. Otherwise, you should go for another tank on the list. Here are the biggest benefits of the Koller Panaview 5 Gallon Aquarium Kit. Obviously, the biggest benefit of this tank is the price. If you need to get a tank now and plan on upgrading the equipment when you can afford to, then is the tank to go for. The lighting system on the tank is good. You won’t be able to grow plants with it, however, it does come with 5 different color settings to choose from or alternate. The lid is a little bit flimsy and won’t stay up on its own. And because of the shape of the aquarium, you can’t change it for another one later on. The filter is really weak and has trouble staying attached. You should invest in a stronger filter as soon as you can after purchasing this aquarium kit. Unfortunately, a lot of people have reported the customer service with this tank is bad. Once you buy the tank if something goes wrong there’s no promise that Koller will help you out. This is a great aquarium kit, and it’s also Amazon’s choice. It comes with a filter and energy efficient LED lights as well. While it’s very reasonably priced, there are some big downsides to this aquarium. However, if you are looking to save money then I’d definitely recommend this aquarium because the pros far outweigh the cons. They’re not lying when they say the filter is quiet. When you turn it on you’re barely going to hear it. And as well as this, the filter strength isn’t too strong, so the current isn’t going to affect your betta. The lid comes with two holes, one for your filter and one for a heater once you’ve purchased one! You’ll be able to grow plants that require a low level of light with the LED’s that come with the tank. One of the biggest problems with the tank is the fact you can’t adjust the filter setting easily. The settings are on the bottom of the filter, so you have to remove the filter to change the settings. And the filter is also a little bit bulky for the tank. Because of this, you may want to invest in another filter later on down the line. As well as this you’re going to need to purchase a sponge filter media so there’s biological filtration as well. And those are the best 5-gallon tanks for bettas. The Fluval Spec V Aquarium Kit and the Marineland Portrait Aquarium kit are definitely worth considering. If you buy them you’ll definitely be happy with your purchase! 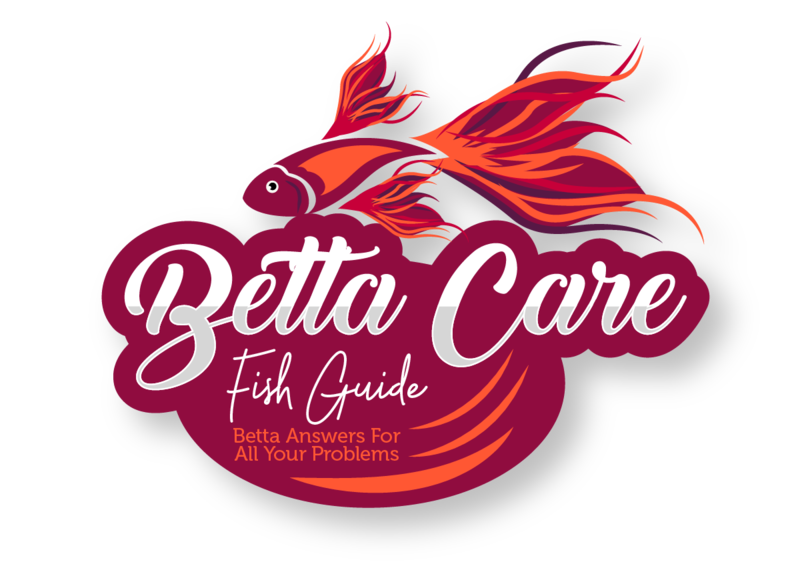 However, they are all decent aquariums and as long as you buy the necessary equipment for some of the weaker ones on this list your betta will be happy in them! If you have any more questions make sure you leave a comment below! Have a great day.